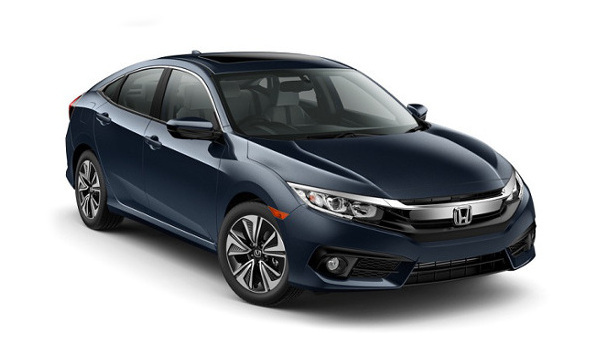 Goshen and Monroe drivers who’ll settle for nothing less than the best compact sedan on the market will always pick the 2016 Honda Civic over the 2016 Ford Focus. After all, the Civic was just treated to a complete redesign, and this fresh 10th-generation model offers more space, stronger standard technology, and a better engine lineup compared to the Focus. LX: Your standard Civic offers premium technology, such as an electric parking brake, a multi-angle rearview camera with guidelines, and a Bluetooth HandsFreeLink system with streaming audio. EX: The EX upgrades to a 7-inch display audio touch-screen, allows you to connect to either Apple CarPlay® or Android Auto™, and features a Honda LaneWatch system to keep you safe. EX-T: The EX-T provides more horsepower and torque from a direct-injection 1.5L turbocharged engine. It also adds heated front seats, dual-zone automatic climate control, and fog lights as standard. EX-L: The EX-L is the epitome of comfort, with an 8-way power adjustable driver’s seat, leather-trimmed upholstery, and a leather-wrapped steering wheel and shift knob. Touring: The Touring is state of the art from top to bottom. Honda Sensing driver assistance features provide an effortless drive and first-rate safety, and a 450-watt, 10-speaker premium audio system is included as standard. 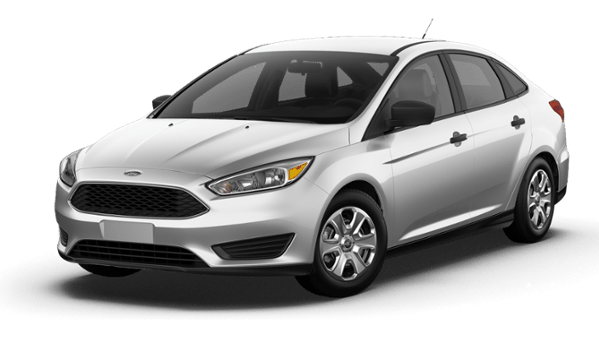 The 2016 Ford Focus only offers four trim levels, starting with the S model for basic features like air conditioning and a four-speaker sound system. Other models include the SE (which adds two additional speakers), the Titanium (for leather seating), and the ST (for an upgraded 2.0L engine). The 2016 Honda Civic offers two engines and the 2016 Ford Focus offers four, but it moves effortlessly ahead when it comes to efficiency. 1.5L Turbocharged Four-Cylinder: Generates up to 174 hp and 162 lb-ft of torque, and earns up to 31 mpg in the city and 42 mpg on the highway* with a CVT. The Ford Focus offers a 2.0L Ti-VCT I-4, a 1.0L Ti-VCT EcoBoost, a 2.0L EcoBoost, and a 2.3L EcoBoost. Maximum power is imposing, at an expected 350 hp with the 2.3L EcoBoost, but only a very small percentage of the population will ever need that kind of output. Efficiency is less impressive, with only up to 26 mpg in the city and 36 mpg on the highway with the standard 2.0L engine. The 1.0L EcoBoost almost matches the Civic with up to 30 mpg city and 42 mpg highway, but offers only 123 hp and 125 lb-ft of torque. One area where the 2016 Honda Civic really draws away from the 2016 Ford Focus is interior space. Unlike the Focus, the Civic was just treated to a comprehensive redesign — a move that greatly increased the cabin dimensions. 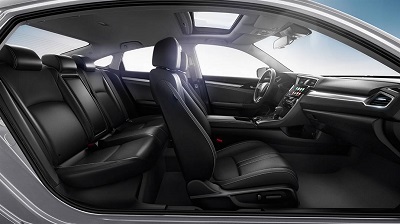 Passenger Space: Up to 97.8 cubic feet in the 2016 Honda Civic vs. just 90 in the 2016 Ford Focus. Trunk Space: Up to 15.1 cubic feet in the 2016 Honda Civic vs. a vastly inferior 13.2 in the 2016 Ford Focus. The Civic’s redesign also allows Goshen and Monroe drivers the knowledge that they’ll enjoy a thoroughly modern interior. Materials are of the highest quality, and the cabin is intuitively laid out. You’ll also be able to take advantage of features that aren’t available in the 2016 Ford Focus, such as heated outboard rear seats. 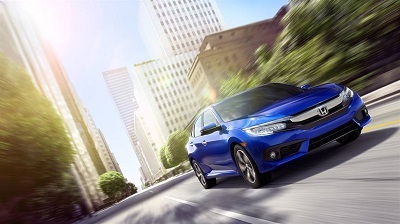 The 2016 Honda Civic is far roomier than the 2016 Ford Focus, and it’s also filled with more advanced technology. 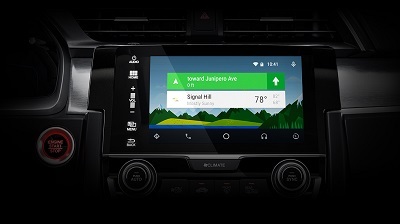 Apple CarPlay®/Android Auto™: Sync your smartphone to the vehicle, then access a wide range of the features and apps on its 7-inch display audio touchscreen. 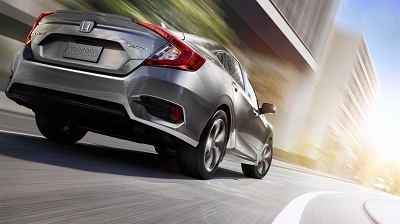 Adaptive Cruise Control: This innovative system uses radar technology to adjust your speed to compensate for the distance between your Civic and the vehicle ahead. Honda LaneWatch: Signal right and a camera beneath your passenger-side mirror displays live video to your touchscreen, showing nearly four times more than the mirror alone. The 2016 Honda Civic rests firmly at the front of the compact sedan class, and it’s available now from Middletown Honda. To test-drive yours today, just come down to our showroom or call us at 855-473-3053 to set up an appointment. We can’t wait to put our Goshen and Monroe customers behind the wheel of this newly redesigned compact!